At Baby Yale Academy, the education, safety, welfare, and education of your child are our top priorities. By hiring the most qualified staff members and developing age-appropriate programs, we make every effort to guarantee that your child gets the best education and care possible. 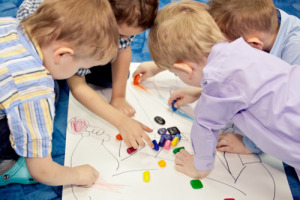 Baby Yale Academy’s curriculum was designed to provide growth and development—ensuring achievement of educational milestones prior to entrance into kindergarten. Our students will learn and discover science, math, art, social studies, reading, music, computers and a variety of other subjects and electives. Parents will receive quarterly progress reports via a report card on their student’s growth. Baby Yale Academy prepares our students for their next steps to higher learning by providing fun, yet stimulating themes and topics. Each student will have some homework—all in preparation for kindergarten or their next promotion. Therefore, our organization and delivery resemble that of an elementary school. So when a Baby Yale Academy alumnus enters into the actual elementary school—it will be an effortless transition. We are about academics, but we ensure a balanced approached intertwined with fun, fun and more fun! If you have any questions about our programs, feel free to contact us at 925-308-7693. To meet with a friendly representative, you can also Set An Appointment now. Please take note that Baby Yale Academy, Inc. is not affiliated with Yale University. 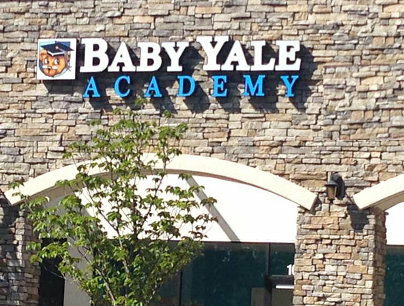 Baby Yale Academy, Inc. is not affiliated with Yale University. If you have any questions, don’t hesitate to reach out to us.